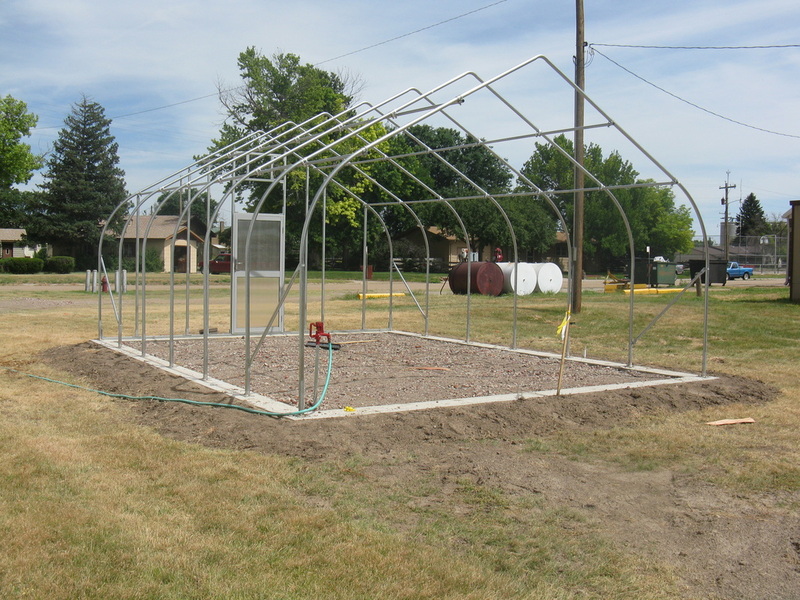 7/10/15 - The Triplains greenhouse is starting to take shape north of the big gym at the school in Winona. The project was made possible by a grant written by our junior high tracher, Mrs. Kate Moorhous, from the Monsanto company. The district was presented with a check for $10,000 during halftime of our homecoming football game last fall. Mrs. Moorhous has plans to incorporate the greenhouse into our school science and math programs. 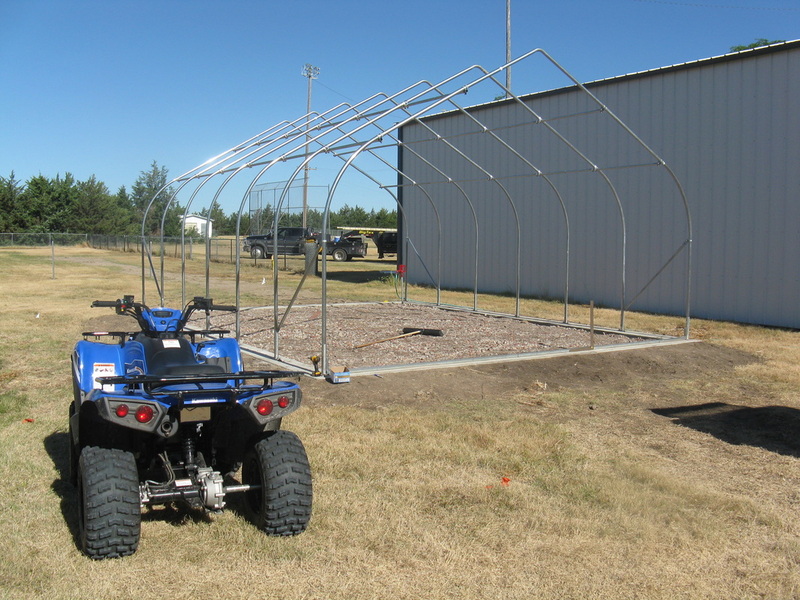 The dimensions of the greenhouse are 18 feet by 24 feet. Bartell Drilling of Winona installed the water line and hydrant. Latham construction of Winona poured the concrete foundation. The district summer crew is in the process of assemblying the greenhouse. It is our hope that the greenhouse will be something all students and staff at Triplains will be proud of for many years. 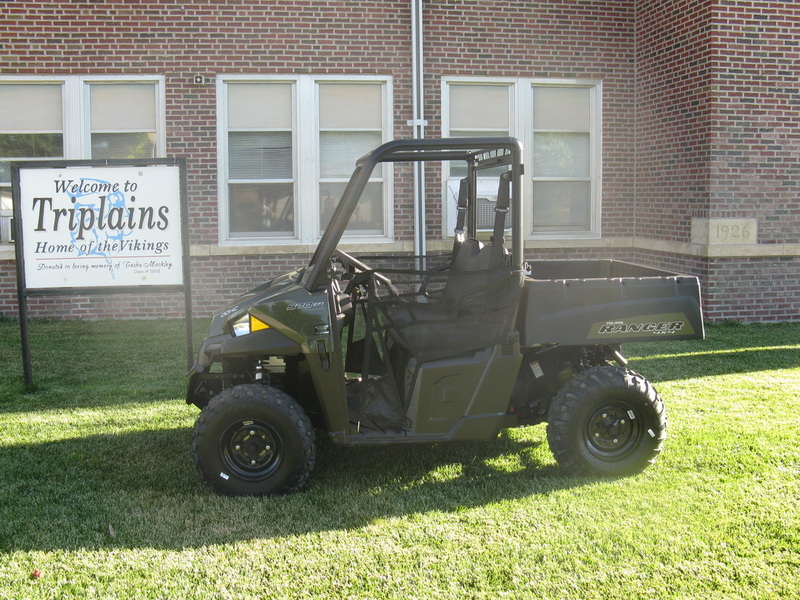 The Polaris Ranger in front of the school. The Ranger is a 567 cc, fuel injected, sage green, automatic, with dump bed. 7/09/15 - The USD 275 Triplains board of education as approved Sandhills orthopedic of Garden City to provide athletic trainer services for K-12 school during the upcoming school year. A trainer will attend all the high school football games, and make weekly or as needed visits to the school in Winona. The addition of the trainer is a joint venture between USD 275 Triplains and USD 314 Brewster. 7/11/15 - The sixth grade class will become part of the middle school classroom this year under the direction of Mrs. Kate Moorhous. Students in middle school also take classes with Mrs. Hyatt, Mr. Korte, Mrs. Graham, Mrs. Luckert, and Mrs. Bretz. Grades 3, 4 , and 5 will be with Mrs. Schertz. These two elementary classrooms also plan to do collaboration on various science and math lessons. 7/9/15 - Has your family ever considered hosting an exchange student? There is still time to become a host family for the upcoming school year. Families hosting an exchange student develop lasting memories and experiences. If interested contact local coordinator, Mr. Kahle. 7/17/15 - The summer crew is seen in the photo on the right sealing gaps in the stucco on the southeast part of the school.